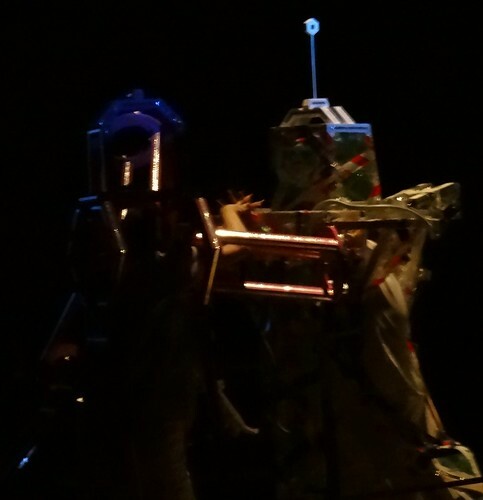 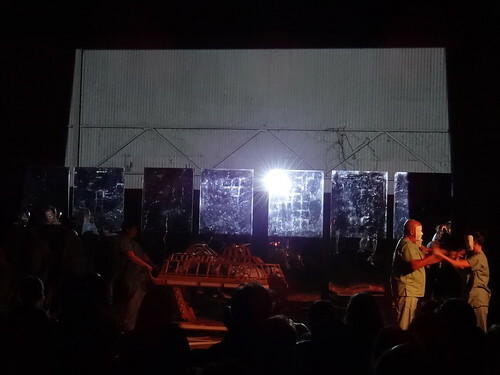 The performance of Byte House was the culmination of Prichard’s residency at 701 Center for Contemporary Art in Columbia, South Carolina. 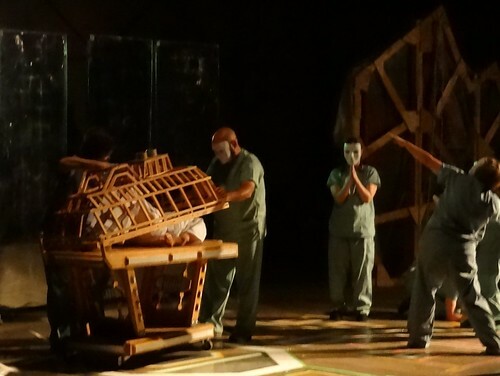 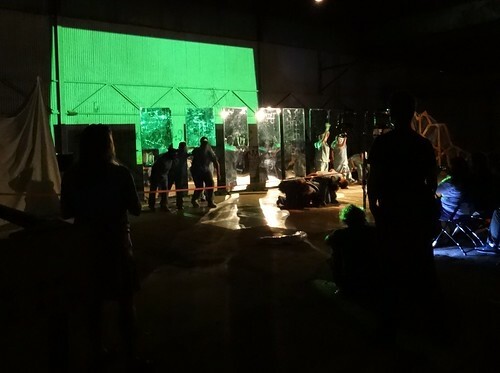 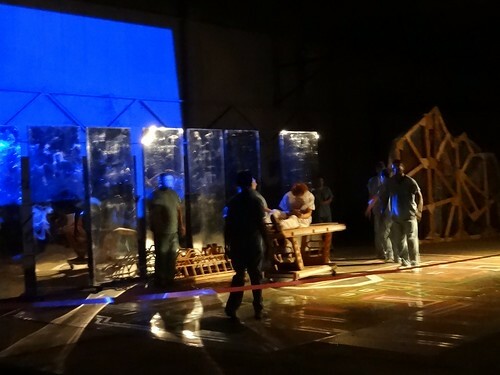 The piece was performed on June 2nd, 2013, in a large warehouse in Columbia. 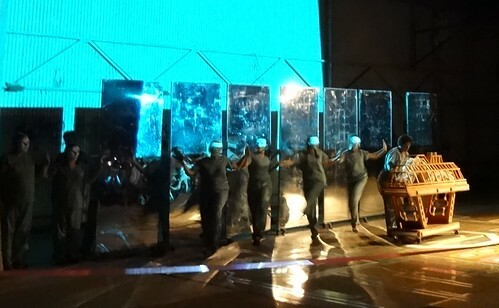 Performers included volunteers from the Columbia community and members of Sinergismo from Charlotte, NC. 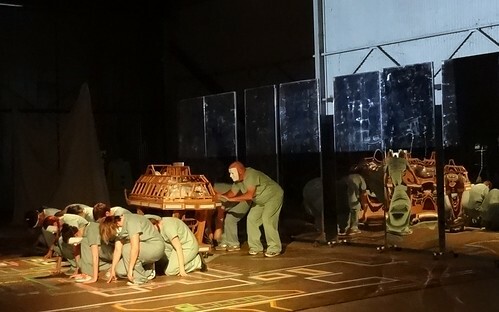 Prichard wrote the piece, choreographed, performed, designed and fabricated the props and set, contributed to the soundtrack and video projection, and handled most of the logistics of powering the space. 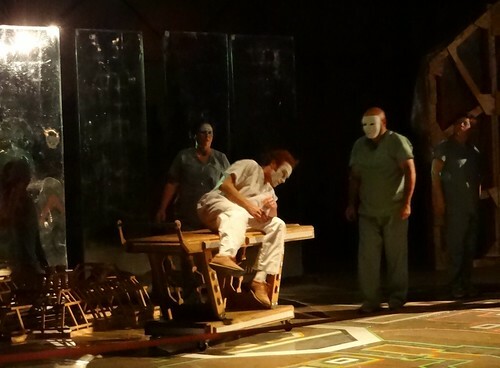 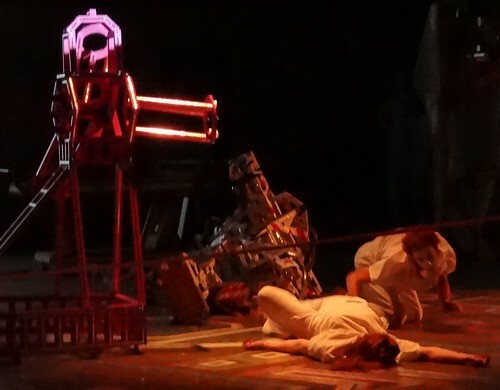 When Prichard began his residency, he was working on designing props, set, and costumes for Shakespeare Carolina’s production of Frankenstein, written by Conrad Bishop and Elizabeth Fuller. 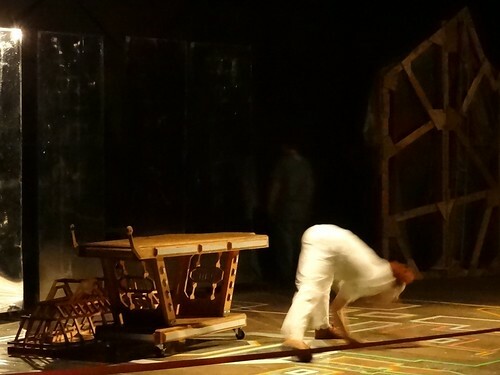 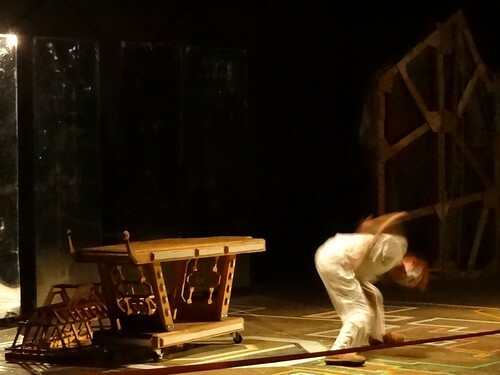 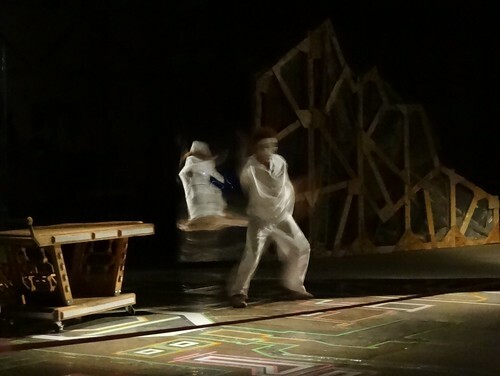 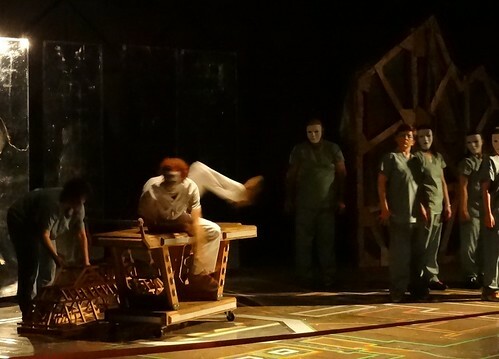 As a result, the narrative structure for Byte House was loosely based on Frankenstein, and the table and backdrop were used in both pieces, with some manipulations. 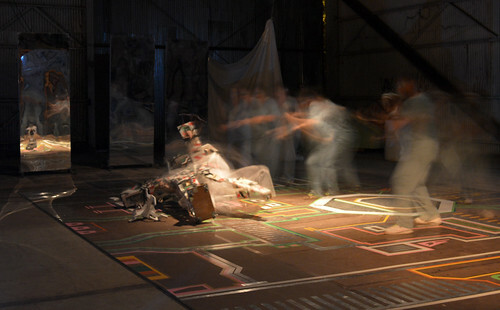 Scenario: A computer program assembles a soul, gives it life and teaches it how to move and communicate. 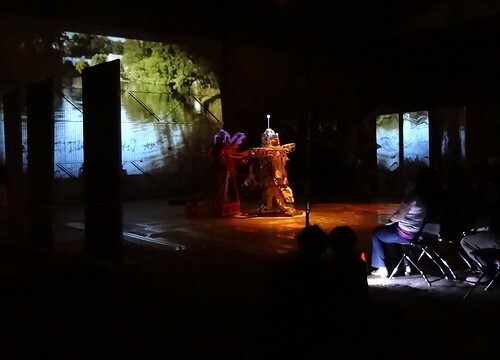 The computer program then places the soul in a body and provides a virtual environment. 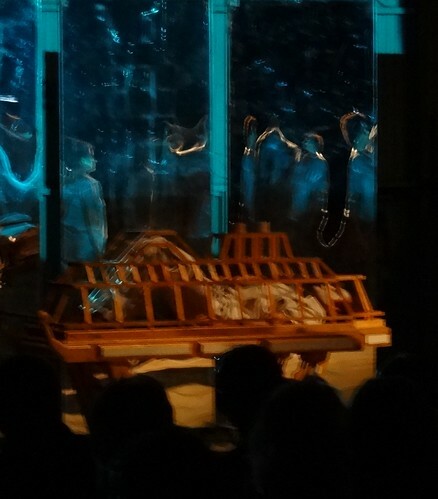 At the end of the piece, the protagonist is introduced to a companion.